1. The Real Presence of God: Simply put, a group cannot be awesome without an AWE of the presence of God in your midst. Recognizing God’s presence with you leads naturally to worship. And worship does not end after your opening prayer or singing. Your sharing, study, and strategizing all take place in God’s presence, for his purposes, and with his power. 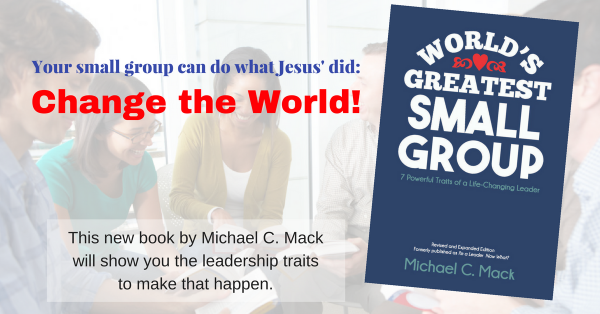 A Christian small group that does not worship is a paradox. 3. A Courageous Leader: The third ingredient, the leader, is vital for bringing the first two ingredients together to create a flavorful group meeting sauce. If we were to describe God as “sweet” and people as “bitter” or “sour,” we could then describe the leader as “umami” or “savory.” The leader’s job is simple: to bring the framily into the the real presence of God. To accomplish this, the leader must be a seeker of God and a shepherd of God’s people. By the way, a solo leader will not be effective or last very long in this role. he or she must share leadership responsibilities with other framily members. These are not the only ingredients in the recipe of an awesome group, of course, but if you have these three, all the other ingredients will come in and blend in much more easily and naturally (see Matthew 6:33). Is your group AWEsome? How do these three ingredients blend well in your group?